Ayub Khan and the military brass, still steeped in Sandhurst culture, made clear their dislike of Maududi and his sociopolitical agenda. He dismissed the mullah as an enemy of modern education, and for him the success of Pakistan lay in its ability to modernize. In a famous speech to a gathering of Deoband Ulema who had migrated to Pakistan, he said that Islam had started as a dynamic and progressive movement, but now suffered from dogmatism: “Those who looked forward to progress and advancement came to be regarded as disbelievers and those who looked backward were considered devout Muslims. It is great injustice to both life and religion to impose on twentieth century man the condition that he must go back several centuries in order to prove his bona fides as a true Muslim.” The speech was included in an anthology of Ayub speeches published by the Pakistan government in 1961. Ayub Khan tried to dilute theocratic elements in his 1962 Constitution, even going to the extent of removing ‘Islamic’ before the “Republic of Pakistan”. More significantly, he dropped the direct reference to the Quran and the Sunnah in the Repugnancy Clause and altered the phrase to an assertion that no law should be repugnant to Islam. His intentions were evident when the Muslim Family Laws Ordinance was promulgated on 15 July 1961. It created a referral body for arbitrary divorce through instant talaaq: anyone who remarried without permission from the Arbitration Council faced a years’ imprisonment plus a fine of Rs. 5000. Ayub Khan wrote in his autobiography that polygamy had caused “immense misery to innumerable tongue-tied women and innocent children” and ruined thousands of families by “the degenerate manner in which men have misused this permission,”to marry more than once. Perhaps, in the context of what happened to Pakistan in the next three decades, the last few sentences need to be heavily underlined. Maulana Maududi declared war against Ayub Khan’s Constitution the moment it was made public. He summoned the Markazi Majlis-e-Shura (Central Council) in the first week of august 1962 and passed resolutions against the government’s Advisory Council of Islamic Ideology, the family laws ordinance, the Pakistan Arts Council, the Girl Guides, cinema halls and the import of books deemed to be critical of Islam. Maududi’s anger against Ayub Khan persuaded him to join the National Democratic Front created by Suhrawardy on 4 October, merging the pro-democracy and pro-Islamic platforms. Ayub Khan retreated. ‘Islamic’ was restored to the name of the nation in 1963, and political parties permitted to function again. 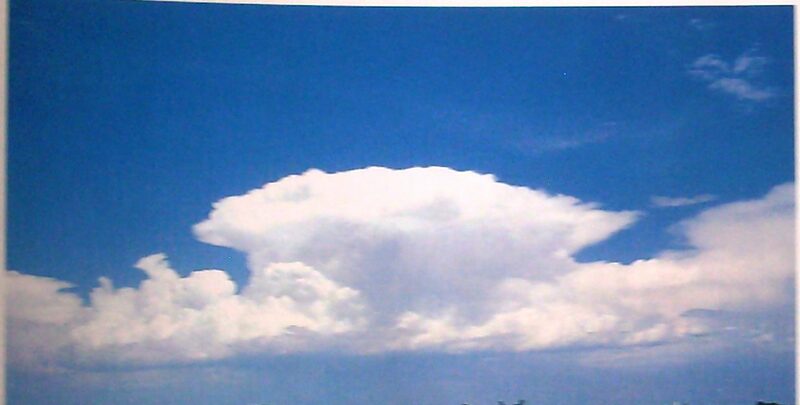 Badaber Base: Among the more concrete results of the US-Pakistan relationship at that time was the agreement to set up the Peshawar air station, about four and a half miles south of the city of Peshawar. It became operational in Dec. 1958 as the ‘6937th Communication Group’. Originally referred as Operation Sandbag, probably because of the surprise effect on the Soviet Union that was to be the target of eavesdropping and aerial spying by the Americans located in Pakistan, The base came under public scrutiny when Francis Gary Powers was shot down over the Soviet union on 7 May 1960 and the Soviets had established that he had taken off from Peshawar. US Reviews Military Aid to Pakistan: As 1959 rolled around, the US was in the middle of an internal review of military aid to Pakistan and recognized the criticisms within its own government of military aid as opposed to economic assistance. However, it also weighed military aid to Pakistan in favour of the creation of ‘stability in the broader area of the Middle East that included Pakistan, Iran, Iraq and Turkey (members of the Baghdad Pact). Is US’s main objective in Pakistan military or strategic? Is Pakistan’s main value to the US represented by its airfields with their SAC (Strategic Air Command) potential as part of the essential ring of airfields around the USSR? For what specific purpose the US needs Pakistan’s 5 ½ MAP-supported divisions? Are we (US) assisting in this ground forces program for its own sake or primarily as a price for the related SAC air base potential? Have we (US) sufficiently considered that the 5 ½ divisions now supported by the US would in all probability remain pinned down along the Indian and Kashmir borders ion case of hostilities? The 1960s also saw the emergence of strains in the relationship with the United States, fueled by much internal debate in Washington on its balance sheet with Pakistan. Also, the US was shifting attention to India as a potentially better partner—being a huge democracy, a counterweight to China, and a nascent market for US goods and services. A series of exchanges with Pakistan about the treaty obligations of the US aimed at providing cover for maintaining the status quo took place while the US forged a new approach to South Asia in general. Ayub, on his part, sought to assuage his critics at home b getting the Us to affirm its obligations to protect Pakistan. But he was savvy enough to know in the end he had to protect himself and his country by positioning Pakistan ore as a neutral entity rather than a cold warrior on the American side of the fence. The Pakistanis were getting concerned about India’s aggressive posture in the region after the Indian invasion of Goa, Daman, and Diu, former Portuguese colonies on India’s west coast and the apparent friendship between the US president and the Indian Prime Minister. Ayub complained to Kennedy about tis posture and cautioned the US against changing its policies towards India. But a shift had started to appear in the US view of the subcontinent. Under the heading, ‘A New Look at Pakistani Tie,’ Robert W. Komer of the NSC staff wrote to his boss, McGeorge Bundy, President Kennedy’s special assistant for National Security Affairs, highlighting the basic differences between the Us and Pakistani view of regional issues in the subcontinent. While recognizing Pakistan’s insecurity as a smaller country in relation to India, Komer warned against letting Ayub push the US ‘into a position which runs contrary to our larger strategic interests in the area,’ adding that, ‘we have failed to get across to him the limitation, as well as in the benefits of our support. Instead he seems to have got the feeling that we are so attached to him as an ally that he can pursue his aims with renewed vigor, and to drag us along with him.’ Acknowledging the provision of facilities to the US by Pakistan, Komer wrote ‘I’m not sure we’ve gotten a lot . . . except paper commitment to SEATO and CENTO.’ Strategically, Komer suggested that if the US were to choose between India and Pakistan, its best bet would be to go with the larger India. He suggested, therefore, that the US take a new tack against Pakistan and not treat Ayub ‘with kid gloves,’ since Ayub needed the US’s help and had few other options of external aid. It was against this background that the Sino-Indian conflict took place and the US rushed to take the lead in providing India with armaments ostensibly to help fend off an onslaught from the Chinese, down the glaciers of the Himalayas and on to the Gangetic plains. Kennedy already keen to win Indian friendship, wrote to Ayub to inform him that the US intended ‘to give the Indians such help as we can for their immediate needs. We will ensure of course that whatever help we give will be used only against the Chinese. The letter then proceeded to ask if Ayub could send a private message to Nehru to allay any concerns of Nehru that Pakistan might take this opportunity (of India’s conflict with China)to create problems on India’s frontiers with Pakistan. Ayub confided to US Ambassador, McConaughy, that he had no intention of taking advantage of India’s preoccupation with China but registered nevertheless his barely concealed anger at the fact that Kennedy had proceeded to aid India without the promised prior consultation with Ayub. In the White house, Komer clearly understood the depth of Pakistan’s anger but advised Kennedy that ‘there be no give in our position. We have no need to apologize. If we compensate Ayub for our actions vis-à-vis India, we will again be postponing the long needed clarification of our position.’ Ayub’s reply, after a considered pause and consultations with his colleagues was long and argumentative. He expressed surprise at Kennedy’s request about giving an assurance to Nehru at that time given his view that India had moved its formations to battle positions against Pakistan in the west. Ayub’s thrust was towards a resolution of the Kashmir dispute as the best way of creating peace India and Pakistan. Ayub went to some lengths to keep the spigot of US aid open. In a long and candid exchange with Under Secretary Ball in Rawalpindi on 3 and 4 September, in the presence of Foreign Minister Bhutto, he assured Ball that ‘Pakistan wants to remain friends with the US unless the US drives it away.’ But he also warned that: ‘Should US policy change, and should we seek to squeeze Pakistan, there would be difficulties. . . But the US-Pakistan relationship was unravelling steadily as other concerns intruded. The US was becoming embroiled in a draining conflict in South East Asia and was unhappy that Pakistan did not provide troops for the Vietnam war. It also found India to be a better prospect than Pakistan as an economic partner and a potential challenger to China. Pakistan was focusing more on building economic and political ties with China, and Kashmir loomed large as an unfinished business from partition. It was unhappy with the lack of concrete US pressure on India to resolve this conflict. Its leadership was also aware of India’s growing military strength especially after the influx of Western arms in the wake of the Sino-Indian conflict. Pakistan’s military had acquired new and improved weapon systems from the US and felt confident that it had a strong deterrent force, should India proceed to exert hegemony in the region. But the increased military force of the Indians created its own dynamic, militarily and politically in Pakistan. 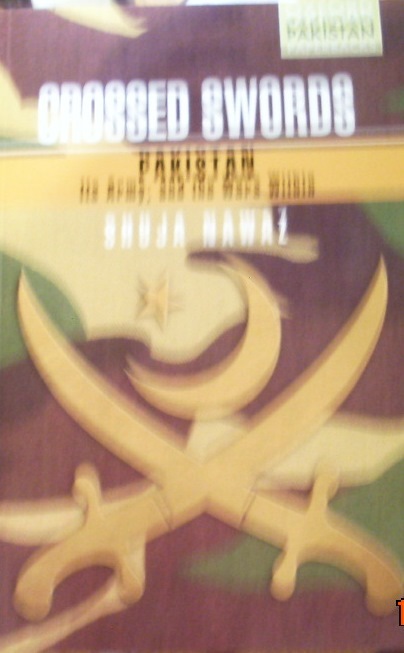 Courtesy: Excerpts from Crossed Swords by Shuja Nawaz, Oxford University Press, Oxford, New York, 2008.